351. Stamp. Vertical percussive falls derived from horizontal rotating shaft. 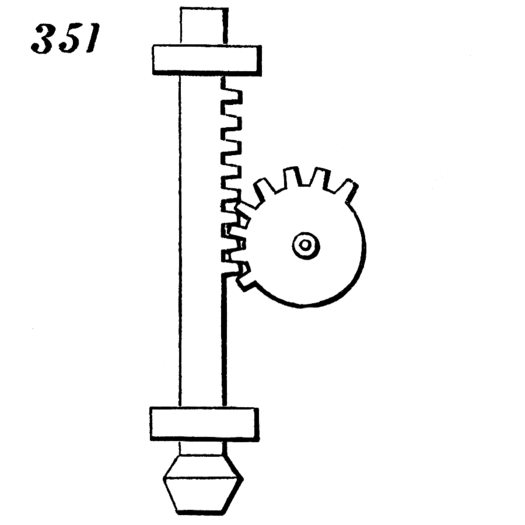 The mutilated toothed pinion acts upon the rack to raise the rod until its teeth leave the rack and allow the rod to fall.